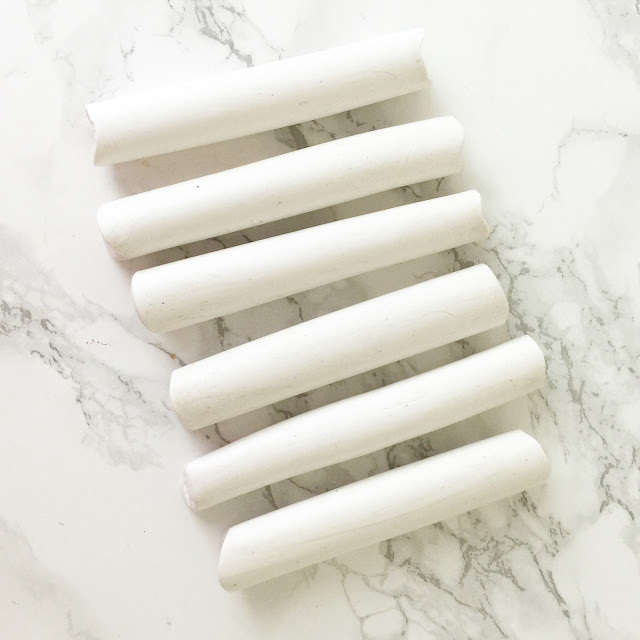 I’ve written about my love for napkin rings before... and well, I’m at it again with a new DIY. 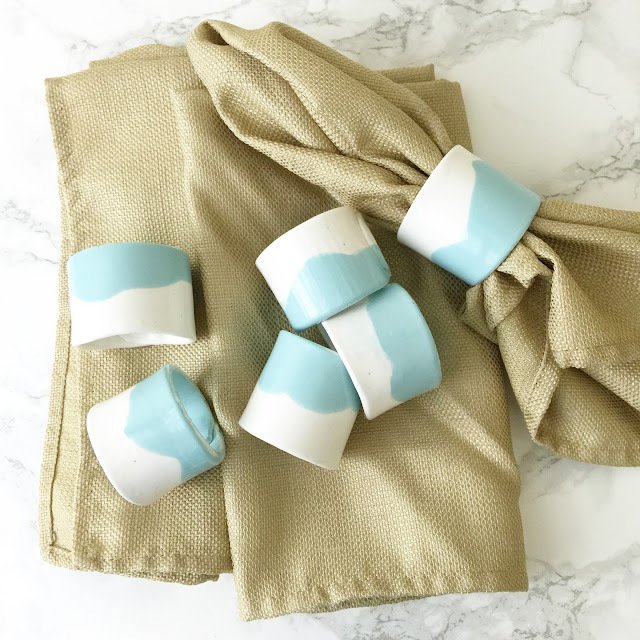 Napkin rings may be outdated, but I will admit, I’m a little but obsessed with them! 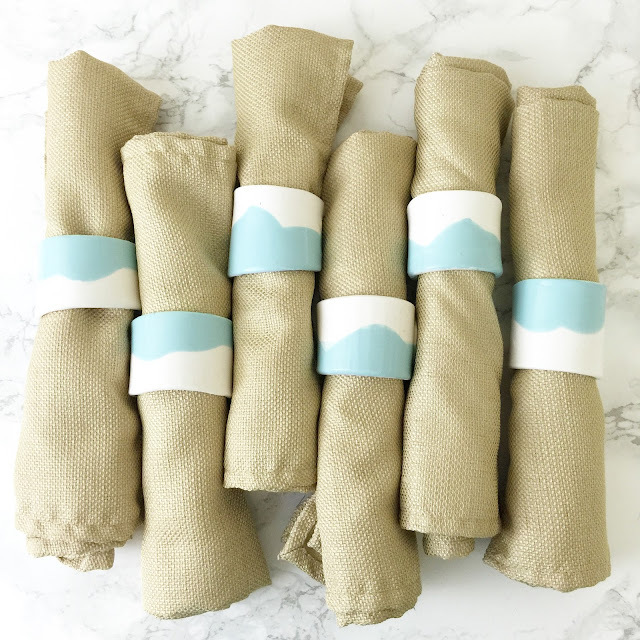 However, I really can’t get behind paying over $100 for a full set of napkin rings, so when this DIY came in at about $1.50 a piece, I knew it was a major win. The best part? They are totally customizable! All you need is polymer clay, acrylic paint, and a gloss glaze. 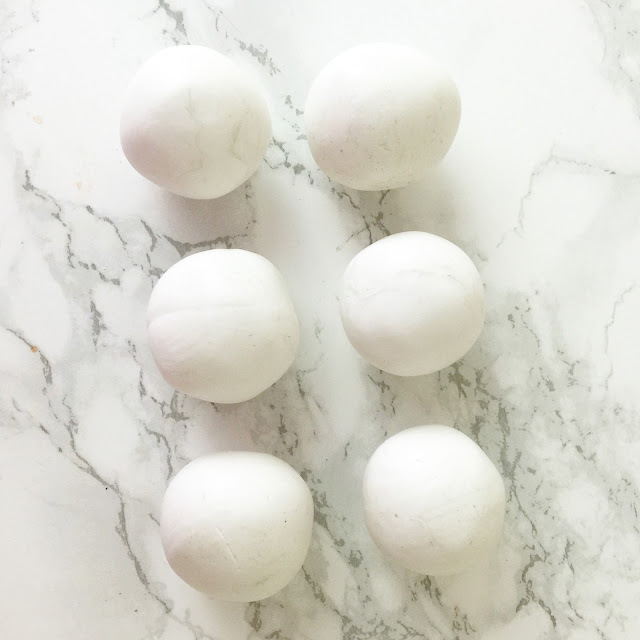 Begin by softening and warming up the clay by rolling it into small, even sized balls (each ball will make a napkin ring, so size accordingly). Then, using a wine bottle (or a clay rolling pin, if you have one! ), roll the balls out into long cylinders. Next, roll out the cylinders into long rectangles, and form a circle with each of the rectangles. 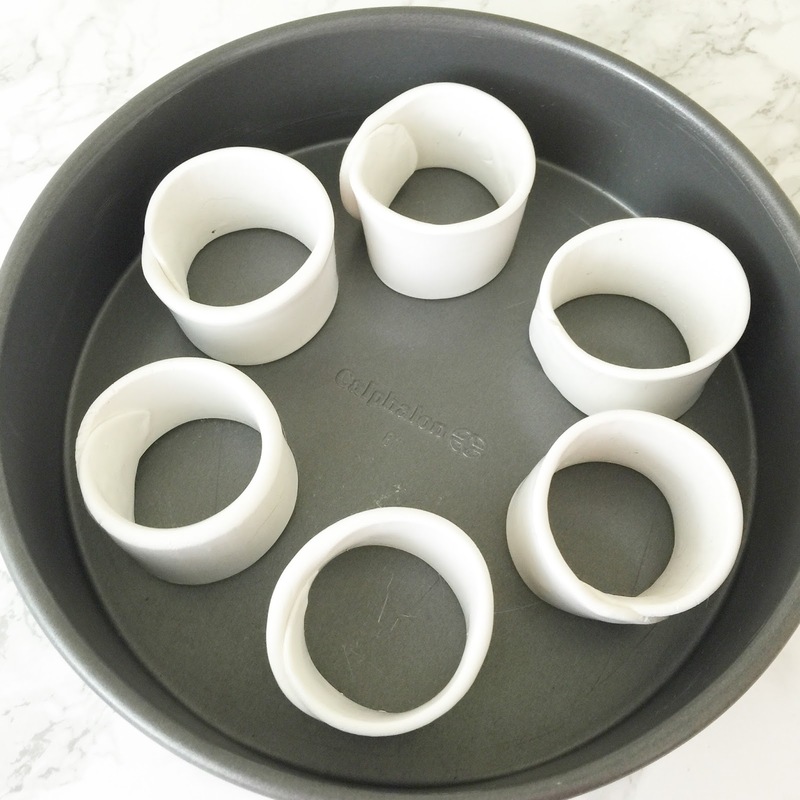 Place each napkin ring on a tray for baking, and bake for 20 minutes at 275 degrees. Once the napkin rings are fully cooled (really, fully cooled...), apply the acrylic paint. 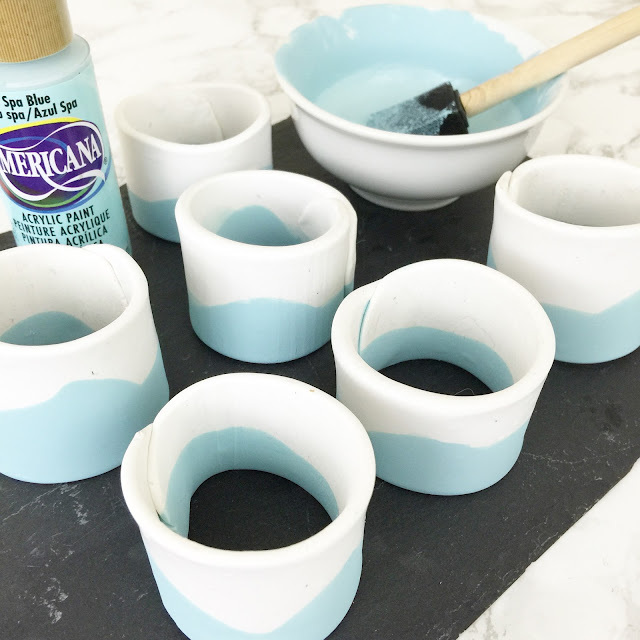 I wanted the napkin rings to have a "dipped" look, so I watered down the paint a bit to make it easier for dipping. 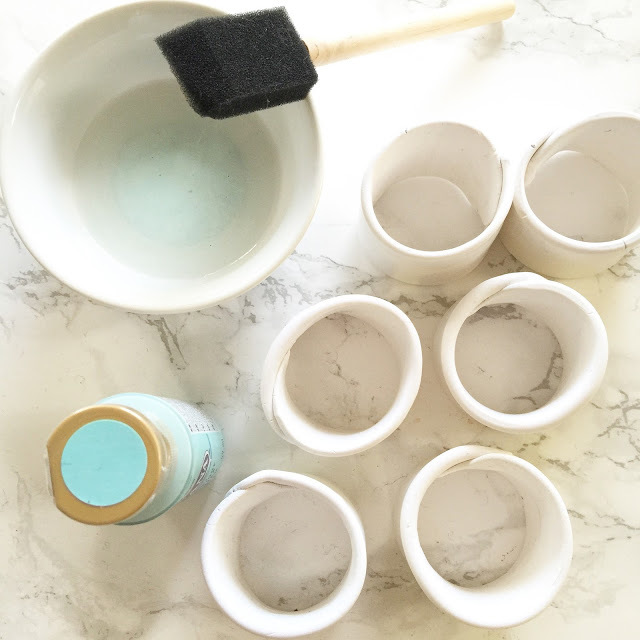 Once the paint is dry, add the gloss glaze. Let fully dry before using. And ta da... napkin rings!! Martha! You hit another one out of the park! Ha how cute is that and with clay! I was thinking it involved cutting pipe. This is better. 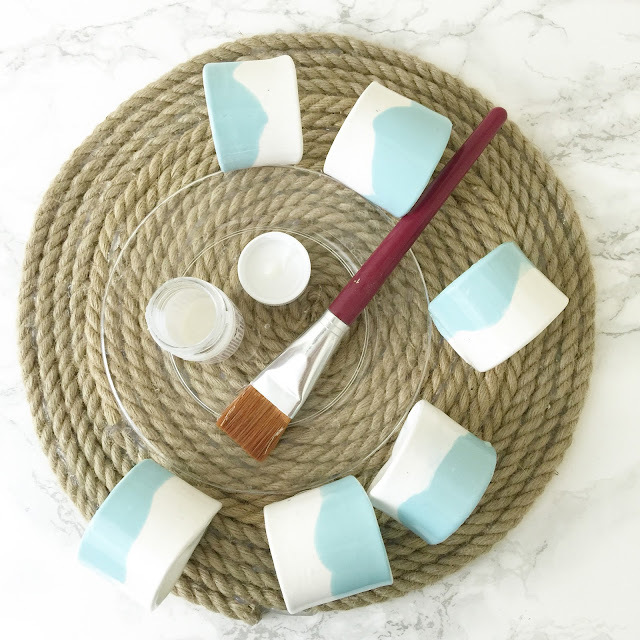 I never knew this easy DIY existed!! I love it! This is adorable! Great job, Lisa! You always do the best DIY projects. Another great idea:) I love a good napkin ring! 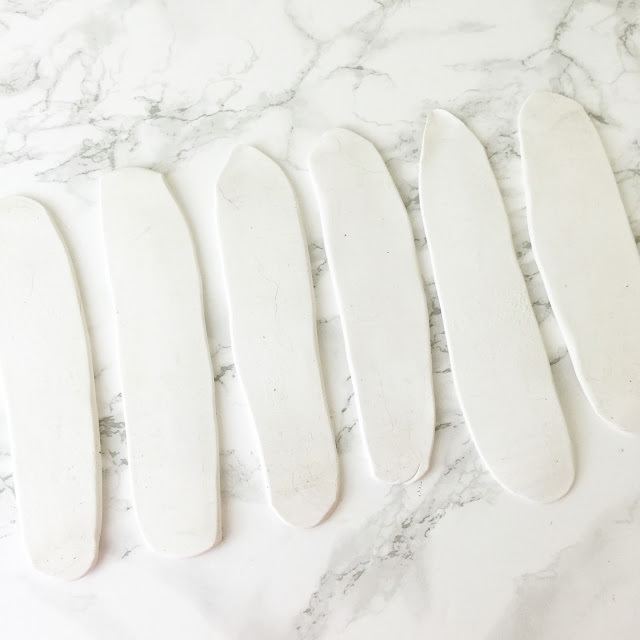 These are so cute-- I love that you can make and customize them yourself, what a fun craft that isn't too hard or too many supplies! I love how easy these would be to customize. You could match pretty much anything in your house! Thanks for sharing. Get. Out. YOU MADE THESE. I'm so impressed! Pinning now!